Fitchburg, MA; March 31, 2015 – Headwall Photonics, a leading supplier of high performance spectral imaging solutions for industry and the defense community, has partnered with Ocean Spray, the leading processor and provider of cranberry products, to test innovative technologies targeted at providing Ocean Spray with the technology necessary to improve product quality and agricultural yield. With this spectral imaging inspection platform, Headwall has introduced a new class of machine vision inspection capabilities that offer real-time assessment of product quality for many different types of agricultural processing applications. With many years as an instrument supplier to the US Department of Defense and such civilian organizations such as NASA, the Treasury Department, and the Environmental Protection Agency, Headwall has customized multispectral and hyperspectral technology for high performance, real-time commercial and industrial applications. spectrometers and spectral instrumentation for industrial, commercial, and government markets. Headwall’s high performance spectrometers, and spectral engines have been selected by OEM and end-user customers around the world for use in critical application environments. As a pioneer in the development of innovative imaging spectrometers based on optical technologies, Headwall enjoys a market leadership position through the design and manufacture of patented spectral instrumentation that is customized for application-specific performance. Headwall Photonics was formed in 2003 as the result of a divestiture from Agilent Technologies (NYSE:A). Fitchburg, MA March 27, 2015 –Headwall Photonics, a global leader in multispectral and hyperspectral imaging systems, announced today that its Hyperspec® INSPECTOR was recognized among the best in the industry by the judges of the Vision Systems Design 2015 Innovators Awards program. The judging panel consisted of esteemed experts from system integrator and end-user companies. Headwall was presented with a Gold level award at the AUTOMATE 2015 conference held in Chicago on March 25. Headwall’s Hyperspec® INSPECTOR is a completely integrated solution that collects all the spectral and spatial data within the field of view. Hyperspectral image data far exceeds the amount of useful information that traditional machine-vision or RGB systems can collect. As an example, hyperspectral image data can help boost food quality and safety because hard-to-detect anomalies, foreign matter, and disease conditions can be seen with exceptional clarity and precision. As regulations become more stringent worldwide, industry is rapidly exploring and adopting this new technology. Hyperspec INSPECTOR can be ‘tuned’ to work in the Visible/Near-Infrared (VNIR) range of 400-1000nm or in the Shortwave Infrared (SWIR) range of 950-2500nm. While INSPECTOR is typically deployed in-line or at-line as part of advanced machine-vision applications, Headwall’s hyperspectral imagers are also used aboard aircraft and UAVs for environmental research, precision agriculture, and overall remote-sensing initiatives. Published since 1996, Vision Systems Design is a global resource that provides engineers, engineering managers and systems integrators comprehensive global coverage of vision systems technologies, applications, and markets. Vision Systems Design's magazine, website (www.vision-systems.com), email newsletters and webcasts report on and analyze the latest technology and business developments and trends in the worldwide machine vision and image processing industry. The Vision Systems Design 2015 Innovators Awards program reviewed and recognized the most innovative products and services in the vision and image processing industry. High-scoring companies were announced at AUTOMATE 2015 held in Chicago, IL, USA. Criteria used in the Innovators Awards ranking included: originality, innovation; impact on designers, systems integrators and end-users; fulfilling a need in the market that hasn’t been addressed, leveraging a novel technology, and increasing productivity. Headwall Photonics is the leading designer and manufacturer of imaging sensors and spectral instrumentation for industrial, commercial, and government markets. Headwall’s high performance spectrometers, spectral engines, and high performance diffractive optics have been selected by OEM and end-user customers around the world for use in critical application environments. As a pioneer in the development of hyperspectral sensors and imaging spectrometers, Headwall enjoys a market leadership position through the design and manufacture of patented spectral instrumentation that is customized for application-specific performance. FITCHBURG, MA - OCTOBER 9, 2014: Headwall Photonics has delivered two high-performance hyperspectral imaging sensors to Columbia University as part of its Air-Sea-Ice Physics and Biogeochemistry Experiment (ASIPBEX). ASIPBEX is part of a larger international collaborative investigation of Climate Cryosphere Interaction with colleagues from Spain, Germany and Norway. 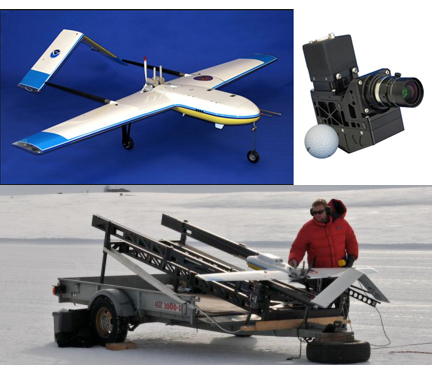 This crucial remote-sensing project funded by the Gordon and Betty Moore Foundation (www.moore.org) will use a high-endurance unmanned aircraft system (UAS) to investigate climatological changes present in the Arctic Ocean around Svalbard, Norway. The NOAA Pacific Marine Environmental Laboratory will operate the UAS known as the Manta. The instrument payload comprises two Micro-Hyperpsec sensors; one will cover the Visible-Near-Infrared (VNIR) range of 400-1000nm while the other will cover the Near-Infrared (NIR) range of 900-1700nm. Together, the sensors will be crucial in detecting indicators of sea ice physics, solar warming and global carbon cycles. "We chose the Headwall sensors for several reasons," stated Christopher Zappa, a Lamont Research Professor at Columbia's Lamont-Doherty Earth Observatory. "The very high resolution allows us to collect and process vast amounts of spectral and spatial data upon which our research and analysis depend." The wide field of view of the Headwall sensor combined with aberration-corrected optics also contributes to overall flight-path efficiency. "The UAS allows scientists to measure in places that typically are impossible to get to using ships or manned aircraft," continued Zappa. "This opens up the possibility for transformative understanding of the climate system. Since we're using a UAS, we depend on 'seeing' as much of the ocean surface as possible, minimizing any aberrations or unwanted artifacts along the edges of the field of view," concluded Zappa. The combination of Micro-Hyperspec and Headwall's advanced Hyperspec III airborne software allows for the successful collection, classification, and interpretation of the spectral data collected during each flight. This particular deployment for the ASIPBEX project is fundamental to Headwall's strategy of advancing the science of remote sensing aboard small, commercial unmanned aircraft systems. "Hyperspectral represents a crucial payload for any manned or unmanned deployment," noted Headwall CEO David Bannon. "But significantly notable is that the UAS has become a 'go-to' platform. This means not only smaller and lighter sensors, but also integrated solutions that factor in everything from LiDAR and data-management to post-processing tasks such as ortho-rectification that our software can handle." Because the Micro-Hyperspec sensor uses high efficiency diffraction gratings in a concentric, optical design, imaging performance and signal-to-noise are both maximized. The patented optical design provides a package that is rugged and robust for airborne use in harsh environments such as the Arctic ocean. Led by Professor Christopher Zappa, the Observatory for Air-Sea Interaction Studies (OASIS) conducts research in a variety of fields focused on the oceanic and atmospheric boundary layers. These include wave dynamics and wave breaking, air-sea CO2 gas exchange, non-satellite remote sensing and boundary-layer processes. Affiliated with the Lamont-Doherty Earth Observatory (LDEO) and Columbia University, OASIS is involved in joint projects with the Polar Geophysics Group of LDEO, Yale University, the University of Heidelberg, the University of Connecticut, and the University of New South Wales and participated in various large multi-institution projects such as CBLAST-Low, GasEx, VOCALs, RaDyO, DYNAMO. The group develops and deploys instruments including infrared, multispectral, and polarimetric cameras on different fixed and mobile platforms such as ships, aircrafts, buoys. The study areas range from laboratory wind-wave tanks, Biosphere2, to local rivers and estuaries, to shelf seas and polynyas, to open ocean from the poles to the equator. Fitchburg, MA – July 14, 2014 – Headwall is announcing the availability of a new hyperspectral imager targeting very high resolution spectral measurements of 0.1 nm over specific spectral ranges which yield indicators of vegetative fluorescence to measure plant health. 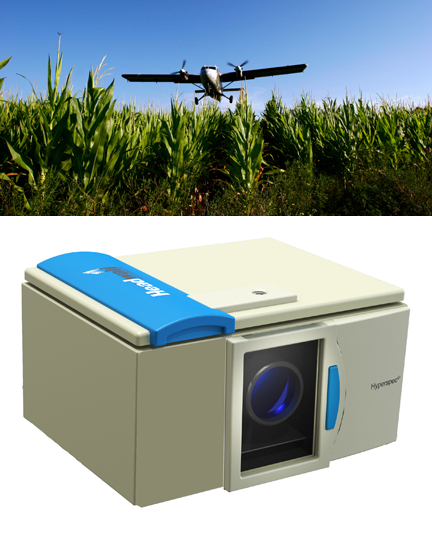 The ability of the new High Resolution Hyperspec® instrument to analyze chlorophyll fluorescence emissions at extremely high resolution and high throughput gives remote sensing researchers and precision agriculturalists exceptionally valuable data from which to make environmental decisions. The new instrument is smaller, lighter, and more affordable than any other commercially available products and is optimized with robust packaging for airborne and satellite deployment. 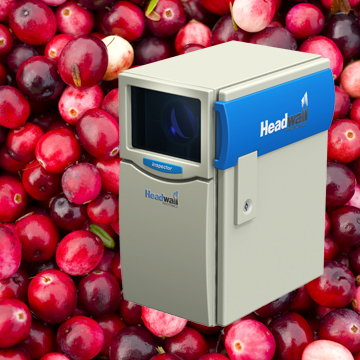 “Our customers have been asking us for a high resolution hyperspectral imager targeting the small spectral bandpath ranges for use in extracting useful data with respect to chlorophyll fluorescence,” said Headwall’s CEO David Bannon. “Because remote sensing and the global crop industry is a multi-billion-dollar one, plant heath and physiology determined through hyperspectral imaging is a key investment for this market.” Water deficit is a major leading indicator of crops under distress, and there is a scientific link between this and chlorophyll fluorescence emissions. The new sensor is based on Headwall’s all-reflective concentric optical design that uses very precise, very high diffraction-efficiency gratings for simultaneous high spatial and spectral resolution of < 0.1nm across the spectral range of the instrument. High efficiency, low stray light, and minimized smile and keystone distortion are fundamental to this design approach. Headwall’s all-reflective approach also means no transmissive optics, which makes the overall package not only more robust for space applications but lighter as well. The Hyperspec name is a registered trademark of Headwall Photonics, Inc.
Fitchburg, MA - June 23, 2014 - In extending technological leadership within the remote sensing market, Headwall announced availability of its new Nano-Hyperspec sensor for commercial UAV deployment. The low-cost hyperspectral sensor operates in the VNIR (400-1000nm) spectral range and includes onboard data processing and storage to minimize size, weight, and power constraints inherent with small, hand-launched UAVs. The Nano-Hyperspec sensor can be combined with optional GPS/IMU capabilities to provide an airborne configuration that is small, light, and fully integrated. The total sensor package with data processor and storage weighs approximately 1.5 lb. (0.6 kg) and measures a scant 3 inch x 3 inch x 4.7 inch (76.2mm x 76.2mm x 119.4mm). The VNIR sensor features 640 spatial bands and 270 spectral bands at a resolution of 2-3 nm. The maximum frame rate of the Nano-Hyperspec is 280 fps; usable data storage capacity is 480GB. "We designed Nano-Hyperspec to complement our performance-leading Hyperspec line of sensors and the growing market for small, low-cost, hand-launched UAVs," explained Headwall CEO David Bannon. "The real innovation is the integration of the Nano-Hyperspec optical sensor and data processing module," he noted. The optional GPS/IMU provides pinpoint correlation between actual terrain coordinates and hyperspectral data for a completely orthorectified hyperspectral data set. This functionality is just one of the many capabilities of Headwall's Hyperspec III software. "In comparison, our Micro-Hyperspec sensor has been an industry-leading airborne sensor for many years," noted Bannon. "But Nano-Hyperspec addresses the rapid adoption of very small, hand-launched commercial UAVs where more integration within an even smaller, lighter package is needed," he noted. Headwall worked collaboratively with customers and UAV makers to achieve the Nano-Hyperspec design. Precision agriculture and environmental monitoring are two facets of the 'remote sensing' market addressed by the Nano-Hyperspec instrument. Headwall's hyperspectral sensors are all based on a patented, concentric, aberration-corrected design using precision high-performance gratings. This fundamentally simple yet elegant design is very robust and features no moving parts and no transmissive optics such as prisms that contribute to measurement inaccuracy and stray light. Headwall's sensor design provides high signal-to-noise and outstanding spatial and spectral resolution across the entire spectral range and field of view.. The very wide field-of-view of Nano-Hyperspec is crucial for airborne applications that demand flight-path efficiency. 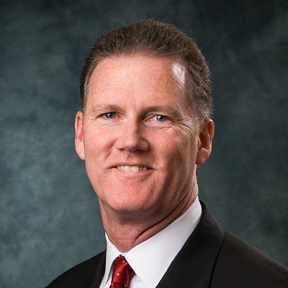 Fitchburg, MA – June 6, 2014 – With a rapid expansion of international business, Headwall Photonics announced today that Tom Breen has joined the Company as Director of Global Sales. Tom brings with him significant experience across many of the end-user markets served by Headwall. He will be responsible for managing Headwall’s growing worldwide sales activities and strategic opportunities for hyperspectral and Raman imagers as well as the Company’s OEM integrated spectral instrumentation. Prior to joining Headwall, Tom held executive leadership positions at UTC Aerospace Systems where he was responsible for sales and business development of airborne and hand-held products. He also served as Vice President of Sales and Marketing for General Dynamic’s Axsys Technology Division in Nashua, New Hampshire. Other senior management positions at L-3 Communications, BAE Systems, and Lockheed Martin provided Tom with the background that will allow Headwall to grow its business in the hyperspectral imaging market. Headwall’s award-winning Hyperspec and Raman imagers are used in commercial and military airborne applications, in advanced machine-vision systems, for document and artifact care, for plant genomics, in medicine and biotechnology, and for remote sensing. A unique differentiator for the Company is Headwall’s patented all-reflective, aberration-corrected optical technology that is fundamental to every system it produces. Tom is a published author, with numerous works produced for IEEE, SPIE, and AAAE. Tom’s educational background includes MBA and BSEE degrees from Northeastern University in Boston. Fitchburg, MA - May 27, 2014 – Headwall has signed a consulting agreement with cultural heritage imaging professional Dr. Gregory Bearman to introduce hyperspectral imaging to historical preservation experts worldwide. 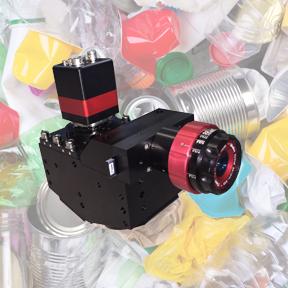 Hyperspectral imaging technology will prove extremely useful since it is non-invasive and can provide information unobtainable by any other means. “Our hyperspectral imaging systems cover the range from 380nm all the way up to 2500nm and beyond,” said Headwall CEO David Bannon. Imaging in the visible/near-infrared (VNIR, 380-1000nm) and especially the shortwave infrared (SWIR, 950-2500nm) spectral range (chemical imaging), preservation and conservation experts will be able to collect a vast array of chemical information with respect to pigments, substrates, materials, and unseen features.” Imaging, as compared to widely available point methods, provides the ability to examine larger areas and heterogeneous objects,” said Dr. Bearman. “Information about ancient documents, artifacts, and paintings not only broadens our overall historical knowledge, but also helps preservation experts carry out their valuable work,” said Bannon. Quantitative imaging in the VNIR and SWIR can provide a way to measure and monitor changes in cultural heritage objects over time, a constant struggle for conservators. Such approaches are applicable not just to objects such as art and texts but also to historical buildings and sites, archeological excavations and built heritage in general. Dr. Bearman’s experience applying hyperspectral imaging within the field of cultural and historical preservation is unequalled. He was a pioneer in applying modern imaging to cultural heritage, as the first to build a compact, simple to use imaging system to bring difficult fragments of the Dead Sea Scrolls to light. As a consultant to the Israel Antiquities Authority (IAA) for more than 20 years, he designed the imaging protocol for the massive imaging and conservation monitoring project now underway, wherein the IAA has created a web-based library comprising its entire corpus of Dead Sea Scrolls. More recently, he has focused on developing quantitative methods and tools to use a variety of imaging modes to measure and monitor changes in cultural heritage over time. “The key to advancing the science of spectral imaging in this community is to extract precise spectral and chemical information, non-invasively and to the exacting safety standards to which conservators adhere” said Dr. Bearman. “Headwall’s VNIR and SWIR sensors return spectral and chemical data at extremely high levels of fidelity, which is what preservation experts need,” he concluded. The consulting work done between Headwall and Dr. Bearman will be on a global scale, including museums, libraries, built heritage and university collections. Dr. Bearman retired as a principal scientist at NASA/Caltech’s Jet Propulsion Laboratory. He is currently focusing his attention on bringing imaging and spectroscopy to conservators of cultural heritage around the world. Other notable accomplishments in spectroscopy have been in biotechnology, pharmaceuticals, and microscopy. He has published many works on spectroscopy and holds numerous patents and awards, including two R&D 100 Awards for best invention of the year. More information about him and copies of his publications can be found at aneimage.com. 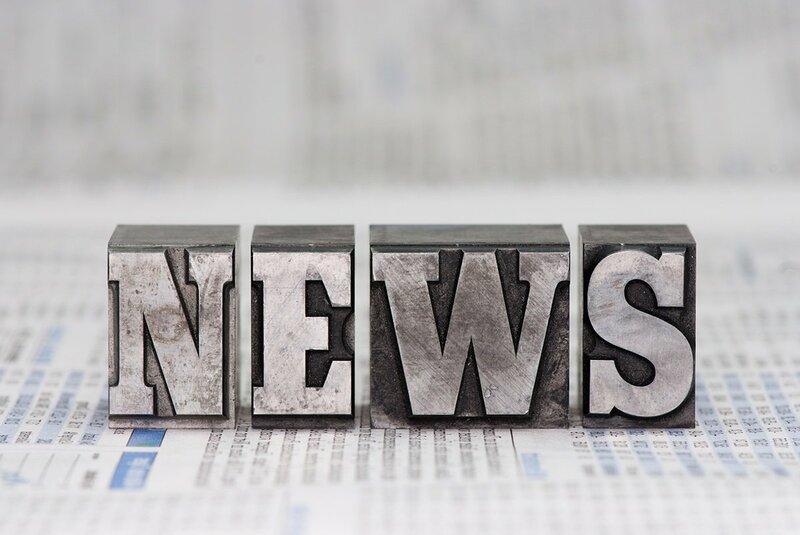 Fitchburg, MA - May 5, 2014 - In leading the industry with spectral imaging innovation and responding to strong demand, Headwall has released the Hyperspec® VNIR-SWIR sensor for general availability. 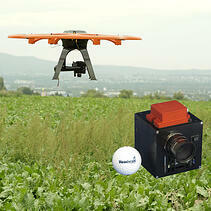 The high-performance airborne sensor is versatile and covers the broad 400-2500nm spectral range. Precise, high-resolution imaging is achieved through co-registered pixels utilizing a single fore-optic input for outstanding spectral fidelity across the entire spectral range. Designed for remote sensing applications such as environmental monitoring and mineral exploration, the sensor is optimized for size, weight, and reduced power consumption. With a weight less than 30 pounds and a small form factor package (approximately 15" x 15" x 8"), the sensor is designed for use aboard a wide range of airborne platforms. Adding to high image quality is the sensor's very wide field of view and high signal-to-noise (SNR) performance. Headwall has accomplished this by combining the high diffraction ef­ficiency for the VNIR and SWIR spectral regions coupled with very high quantum efficiency of the electronic subsystems. Pixel co-registration plus aberration-cor­rected optics yields very high spectral and spatial resolution with repeatable measurement accuracy - unparalleled in the industry. With diffractive optics spe­cifically designed and manufactured by Headwall, the patented hyperspectral sensor eliminates image aberrations such as keystone, smile, or stray light and thermal variation that is typically observed with transmissive-based sensors containing prisms and gratings. "Our remote-sensing customers often need to cover both the VNIR and SWIR spectral ranges but until now, there has not been a hyperspectral sensor capable of reliably providing both VNIR & SWIR data," said Headwall CEO David Bannon. "We developed this co-boresighted and co-registered VNIR-SWIR sensor to avoid the complexities of multi-sensor deployments while keeping the sensor size, weight, and power consumption very low." Headwall's Hyperspec VNIR-SWIR sensor is also sold with a complete airborne configuration including GPS/INS, high-speed processor and storage, and airborne Hyperspec III software for sensor control and data acquisition. Headwall's VNIR-SWIR sensor is available for delivery approximately 8 weeks after receipt of order. Headwall's application engineering team is available to assist customers with airborne integration and training. Headwall will be exhibiting at the SPIE-DSS show at the Baltimore Convention Center, May 6-8. Visit us in Booth 620! sensors and spectral instrumentation for industrial, commercial, and government markets. Headwall's high performance spectrometers, spectral engines, and high performance diffractive optics have been selected by OEM and end-user customers around the world for use in critical application environments. As a pioneer in the development of hyperspectral sensors and imaging spectrometers, Headwall enjoys a market leadership position through the design and manufacture of patented spectral instrumentation that is customized for application-specific performance.